Thor needs a new home. Thor lived in the country. 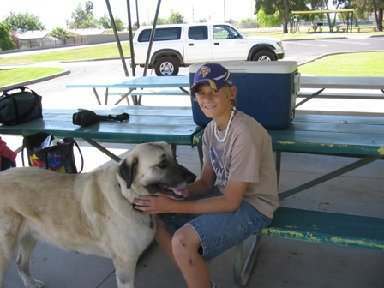 His original owner in Arizona had a one-to-one relationship with his dog. 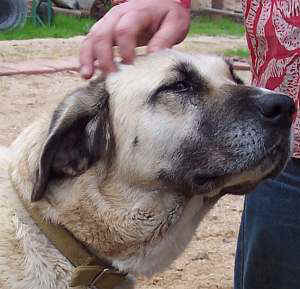 The owner became seriously ill and has since passed on. During the time of this unfortunate terminal illness, Thor's world was devoted to his owner, and also to the limitations of his owner's closing world. 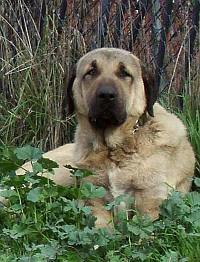 After the owner passed on, Thor needed to be rehomed -- but had become accustomed to isolation from his first home. 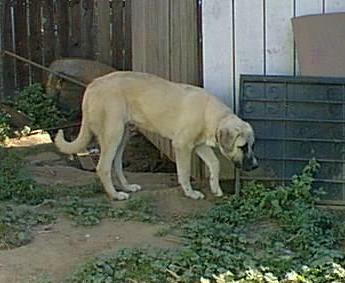 A home for him was found in California (Oakland area) after his first owner died. It looked like it would work out, but a problem developed when Thor, used to quiet isolation, seemed to view his new owner's home as an area that should be kept isolated as well. This situation isn't working out now because the place where he lives has renters that need free access to the housing and yard. Since Thor prefers the renters to stay out - this has become a problem. The ideal home for him now would probably be with a single adult with no children, who has time for a one-to-one relationship with a loyal dog. Thor is currently living in Oakland, California. Please contact Kathy Gerlach at her email or phone for more information. The pictures below show him with some young friends, so you know he is kind and biddable. Due to his 'only dog' background and the social natures of children (who may bring friends to visit), it would be best to have a new home with a single adult - no kids. If you know someone that might fit the bill, tell them about Thor. 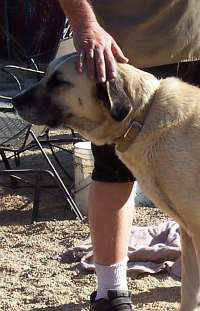 I fostered Thor in Arizona and he is a wonderful, big hearted dog who is a pleasure to be around. He's fun loving, loves to travel and is very well mannered. Tina, thanks for visiting. So great you were able to help him for a while and developed an understanding of him. I sure hope he gets his forever home soon. He really seems like a great dog. Just a little set in his ways. As of tonight, converting MOV files from my Kodak cameras to a format that can be handled in Windows Movie Maker is no longer an issue. I found a free program at SourceForge.net, called MP4Cam2AVI, and it does the conversion beautifully without increasing the file size and distorting the video output. There is a slight difference in full screen depth of color with the new output being a little darker in my clips, but the normal window size viewing is quite similar and crisp (given the camera and the user's shortcomings). Compare file sizes of original MOV and the new AVIs. I don't know quite what all the bells are whistles are on this program but if you have a digital camera that shoots still pictures and can take movies in MOV format only, then you might be intereted in this free and small download. Get it here and see the info and screenshots. Yeah... I know about Quicktime. I had purchased QuickTime Pro Version 6 a few years ago and found it very helpful for the few files from my Kodak digital cams that I had to convert (files ended up fuzzy and way big tho). I had only used it for a couple conversions which quality I didn't like aside from the hugeness of the new files. These could have been issues peculiar to that one camera tho. However, QuickTime movie editing and splicing is something which it did well. Unfortunately I used it only a couple times, not $30 worth of work IMO! Back when, I was still on dial-up so the entire idea of putting movies online seemed crazy. Broadband is more common now although not everyone has it. Sometimes I have to connect at dial-up speeds when my cable connection goes nuts. That bites! Speed definitely spoils us when we get used to it! Hubby wanted me to install iTunes on my machine and when I did that, I had to make the decision to overwrite my old QTPro version then with the freebie version 7 because iTunes refused to install unless QT was also upgraded. ...thus losing my MOV editing capabilities on this machine. I still have everything I need to reinstall my version 6 QuickTime Pro files -- as old as they are now. I installed the files on my laptop just in case I wanted to edit Kodak digital camera movies again, but that didn't last long! James needed iTunes on that machine too. Oh well! Anyway, thanks to SourceForge, I now have a conversion solution that is practical for my use. After conversion from MOV to AVI, the clips can be edited in Windows Movie Maker. Now, to find the time to do THAT! I took some (not very good) movie clips of the dogs playing in the small corral. I discovered at the time that unfortunately, the camera I have cannot ZOOM while in video mode. Not great, since the Anatolians were playing, chasing and running around our 1/4 acre corral enclosure. Nevertheless, I will get them online when I can, now that I can edit the clips if needed. 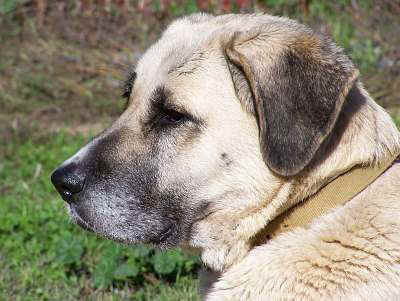 Unbelievably... Zor passed away in her sleep this morning. She was nine and a half years old. Only yesterday she was playbowing with the others and challenging them all to a game of chase. Only yesterday, she did several of her routines of 'lean on me', pressing against me for a long moment for a hug, and ear scritch. She spent part of the day sleeping inside the house and poking me with her nose for attention intermittently. All business as usual. Yesterday, when she was in the house, since she'd been a bit picky on her food recently, I offered her some chow and some meat trimmings. She didn't seem hungry for the chow but she took a few bites of it and took all the meat trimmings I offered. Then she went back to lay down in the other room. At dusk, she was outside happily charging around with the other dogs, grinning and occasionally wuffing at imaginary unsavory characters that might be thinking of driving by. Everything seemed fine. When James was taking out trash and checking the gates late last night, she followed him around for snuggles and leans. Business as usual. So, this morning, I was startled to find her laying on her side as if sleeping. She was off her appetite for the previous weeks and was on the ribby side (an annual summer event with her), but no other sign of being unwell. She'd finish off all her chow - 3 days out of 5. And on the other two days, just eat about a cup full. So yesterday, she didn't seem different at all. As she is getting a little older than the others, she gets probiotic via kefir, N'zymes and a little grated Parmesan cheese for aroma daily these days -- and yesterday, a shelled boiled egg, on her chow. She nibbled disinterestedly at chow, ate about half -- just wasn't hungry. I have two of her daughters here and one son. Coco (girl) and Helmut (son) who are about a year old and then there's the older daughter, Ruya, who is 4.5 years. Boone (4.5 years) is unrelated to Ruya and he is well also - so I don't suspect a food issue. 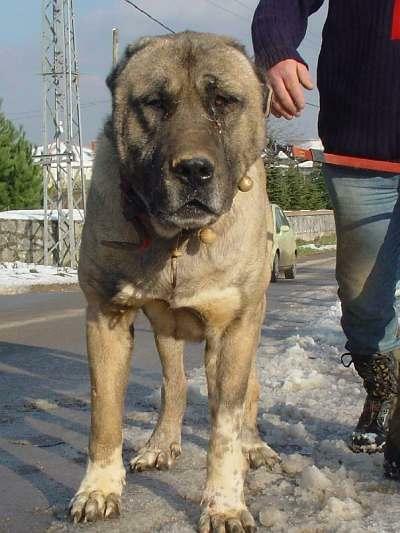 None have problems in appetites, none are finicky in the least, none seem to have problems keeping on weight - which had become Zor's lot over the past three years. We are feeding Purina One since May this year - I changed to that one after all the other dog food craziness was going on. No one here as had a problem with Purina. When Zor was previously off her appetite, she seemed to love having Milk Bones and sometimes that was all she would eat for a few weeks! But the past several weeks after a routine (for her) summer, she was eating less, 3 days out of 5, and was becoming ribby. 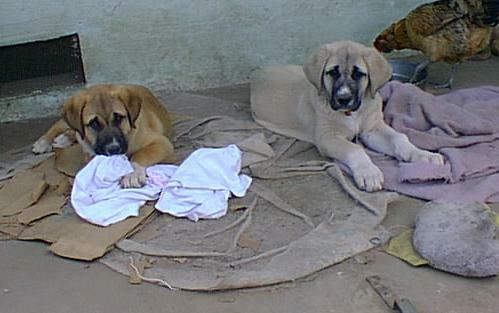 L-R: Dylan and Zor as puppies. June 1998 photo - yes chickens cleaning the puppy bowl in the back! 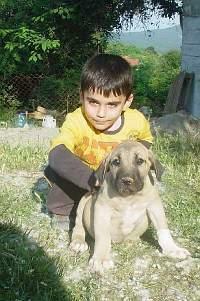 Zor at 4 or 5 years. Who does Zor love best? Well, it always seemed that if I were outside doing stuff with the dogs, if James showed up, Zor would be the first one by his side! She loved leaning on him and taking head scritches from him. Above, you see her eyes closed and head tilted to him. Whenever I were out there, not quite so magnetic! She'd check to be sure she wasn't missing out on treats first, and then the other dogs would be able to 'own' me while she stood back waiting after the rush. Part of this may have to do with my habit of putting bug repellent on her when needed. She seemed to have decided that the routine was the same as "Zor Repellent" as far as she was concerned. James never did this nasty stuff to her so she has always gravitated to him quickly without the need to suspiciously check him out. Of course, the other dogs are fine on this with me, they don't like it, but they want to be there first! They're much less concerned of dabs of bug wipe being put on their ears and feet. Zor in the background, headshot of her daughter, Ruya, in the foreground. 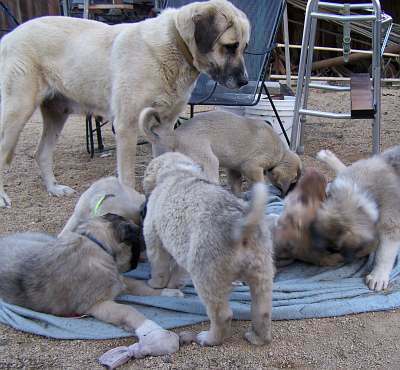 Zor with her litter of October 2006. Puppy Chaos! As I write this, the loss still hasn't really sunk in. I keep falling apart momentarily, then feeling that she's NOT really gone. She was so loyal and affectionate, yet fickle and suspicious about any change in routine. 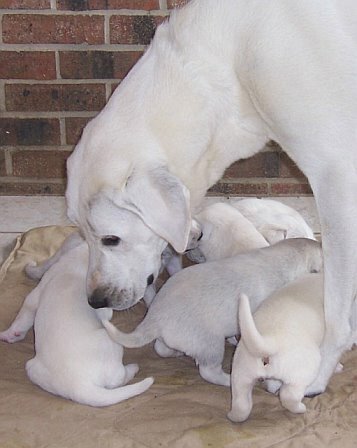 She was a wonderful mother to her two litters. We have two nice females from her, perhaps to carry on for the future. We have a pet son of hers who we are growing up right now, and he is absolutely a love. Zor has a page listing some of her details. 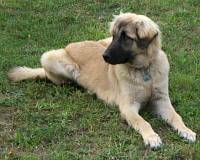 She has been a part of our breed diversity program and attained her AKC registration only in the last two years. More photos on her in this blog are listed on the Zor label. Zor, you are loved and missed. You will not be forgotten. A beautiful tribute to Zor. Please accept my sincere sympathy. How great you can carry on the line. Dylan, Khazu, Steve and I are saddened to hear of Zor's passing. We've lost part of our family, too. Our sympathy is with you. I wanted to say that I am very sorry to hear of your recent loss. May it help you in some small way to know that those of us who love this breed are grieving right along beside of you in Zor's passing. I pray he is happily keeping my beloved girl Madison company. They now wait patiently for our arrival... as they have done so many faithful times before in the life they shared with us on earth. They will be missed but never forgotten. Thanks for all the comments. I had also gotten quite a bit of email from wonderful folk! We are truly sorry for your loss. Seven looks so much like Zor, it breaks my heart. I hope you find peace in knowing she had a wonderful life with you guys. Please let me know what i can do to help. Bilkay, thank you and thanks for sharing Seven's special story too. I am only just now finding out about Zor. I am so sorry for your loss, it's heartbreaking I know! My heart goes out to you, and while I'm still sad that I didn't get to have beautiful silly Helmut, I think maybe it's because he knew he would be needed to make you smile and laugh. love from Bauer dog and me! Some interesting highlights on current internet security issues. I bolded the point at the end of the list but much of the report has elements that may be of particular interest to others. I looked at the PDF version which is rather dry reading but there is a flash, video style presentation that others may prefer to review. I think many people are aware of some potential risks that there may be online, but seem to feel reasonably sure that the problems only happen to other people because they feel their ISP, their browsing habits, and software are sufficient protective buffers against security threats. Healthy paranoia can't be a bad thing in light of the increasing sophistication developing every day with internet related threats. 61 percent of the worldwide total in the first half of 2007. 25 percent of the worldwide attack activity. more than any other country. followed by Canada and the United States. space registered to Fortune 100 companies. this period, more than any other sector. could lead to identity theft during this period. the total known to Symantec. Symantec, accounting for 22 percent of all items. Symantec were issued by banks in the United States. a 17 percent decrease from the previous period. • China had 29 percent of the world’s bot-infected computers, more than any other country. 43 percent of the worldwide total. up from three days in the second half of 2006. • Home users were the most highly targeted sector, accounting for 95 percent of all targeted attacks. And a PS. My connection and FTP abilities have been very iffy for just over 24 hours. Hopefully this gets posted before another day passes. The silly, animated chicken above is not related to Savage Chickens, but comes from free animations available at LabPixies, made by SweetIM. I got a kick out of the fun facts about making the movie. One of which is "There are about 500 sticky notes in the video, including a butterfly and 4 or 5 stunt butterflies." I enjoyed the movie and hope Savage Chickens does well in the contest. 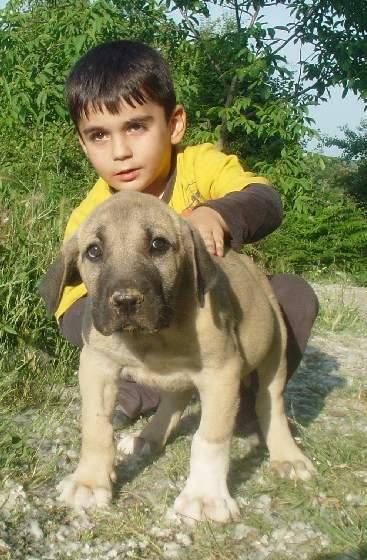 Kids and Turkish Dogs - Turkey! The handsome young man above with the puppy above is about four years and that awesomely cute puppy is about 2 months old. I sent a quick hello to Nahit out in Turkey last week. 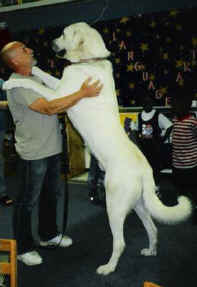 We'd corresponded before a few times and I know some of his dogs also came to the USA. I was having problems connecting to his website during the sporadic attempts I made, so I wrote and got good news. Kangalist.net is still there. He has been busy and his kids are growing up. Time flies! He writes that his two sons and his daughter love the dogs! And he sent me fresh pics of the cute duo above. 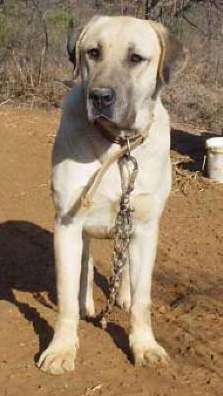 This is one of the Kangalist males, Dozer. This female is young Hama. The handsome duo again. I just love that sweet expression on the puppy's face. I'm so glad they had time to send me the shots! I think I'll need a very very big shopping bag to bring her home! Some of the pages may be down, but you can see some of the girls at Disiler drop down menu, and the boys on Erkekler. Arrr Me Hearties! Me Flip-Flops Be Killing Me! Hey, September 19th is/was "Talk Like a Pirate Day". If you need a interpreter on some Pirate lingo, Savage Chickens might be helpful. My piratey mood has to do with Sims 2 actually. 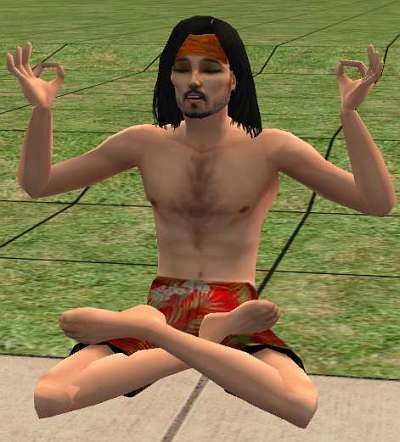 Captain Jack Sparrow, as a Sim can be installed in The Sims 2 game. This picture capture is from my game and is my favorite pirate creation by assorted authors who created his skin, clothing and accessories. I'm not taking credit for him ...nor for any surprises in his uh... skin tone. He's been available in downloads in various styles and quality for years, but this one has been in my game for about three years. Alas, I haven't played the game enough to help him build a ship yet (he's actually more obsessed with looking through telescopes and ...hanging out with his women), so I think he'll have to go commandeer one eventually, lol. If you have The Sims 2 game and would like to have him, here is the download file for Captain Jack Sparrow. 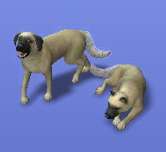 It should be put wherever you like to put your downloads but after downloading, you need to double click the Sims2Pack file that you just downloaded and it will install into your game (likewise, the doggie files below). You do not need expansions to have Captain Jack Sparrow in your Sims 2 game. (Of course, unless you actually have the game, you can't use the download.) 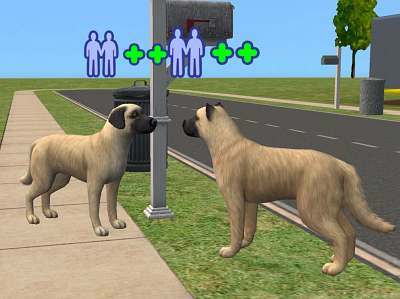 You DO need the Pets expansion for any of the dogs below, because the expansion pack gives the pets the programming they need to come to "Sim Life". Jack is fine with the base game. Now Mateys -- about those flip-flops! More excitement from China. :( I was going to post this the other day but didn't have time, so I'm also behind posting on pirates, so I've combined the two. And yep, I know, I'm weird. This was from a while back that Kerry Stiles started a photo log of her flip-flop experiences back in June 2007. She's still trying to find others who have had the same problems as she did. Apparently some slippers were fine but some others were defective. About.com link verifies the story and (generically) identifies the irritation pictured (it's a bit graphic) as a type of contact dermatitis. While some people may have contact dermatitis with metals, latex or other materials rather consistently based on the specific product -- it appears that according to some of the reports in the original lady's photo log, some folks bought different color variations at the same time of purchase and only certain certain pairs in their purchase caused reactions. The author for example, had a reaction to a yellow pair, while another person reacted to the blue and not the other colors that were also purchased and worn. This suggests ersatz product components were partly to blame. Now, here we go... a little more doggie related. Yay! I have the Pets expansion and have had so many cool ideas on what to do with it but due to some interesting times lately, haven't found much time to play. 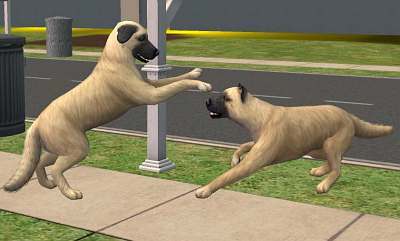 Here are two Anatolian Shepherd Dog Sims that I created on "Talk Like a Pirate Day". Both are a little different in their Sim genetics. 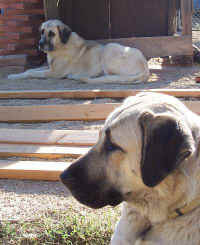 The drop eared one is a female and the one with cropped ears is a Turkish import. (Heehee - the madness of a dog nut!) The male is a little less friendly (more guardy) than the female but he is more playful than she is. I was interested if they would hit it off naturally or if there would be some work required. When they met, he did a play bow and wanted to be friends. Above pic is just before he did the playbow. She is cautiously checking him out and he's getting excited. A lot of action in the game is autonomous. The pets are no exception. You can't really control them so the human sim that lives with them has to train them. In this pic, the plus icons show that the two dogs have just decided that they probably like each other. They may become good friends. In this pic, the female is responding to the invitation to play. She's leaping up and he's playfully growling at her. She's not a playful dog in her personality, so this is a positive event. 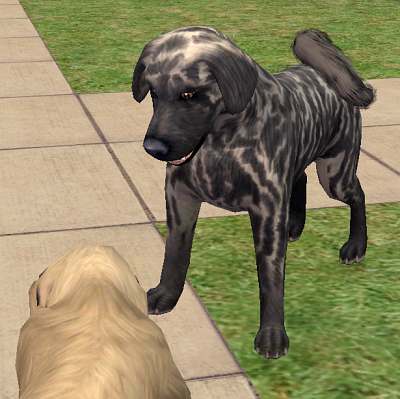 The game is really not about real doggie genetics but it is about cool programming code and neat graphics. So if they bred, I'd probably get some pups with upright ears. Then again, its just a game. I wonder if keeping only the flop eared pups and breeding them will result in a line with more flop ears only? LOL, I guess I won't know until I have more time for the game. At least with the humans, blonde and redheads are recessive to the brunette and black hair. So the human babies get some predictable traits from their parents. So I have the crop eared dog above for download and a brindle dog with a curled tail available. 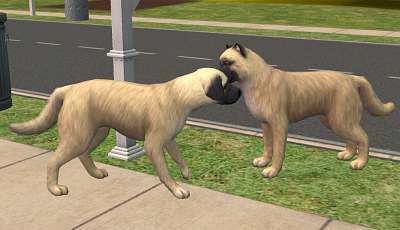 To use the dog files, you need have the base game and the Pets expansion. 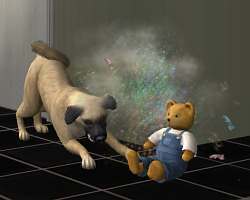 Yep, even Sim doggies need to be trained to not be destructive. A playful one trying to demolish a teddy bear. Semavi Kale Kadim does Sport Day in Finland! Visit Kirsi's blog for some sweet photo updates on Kadim. Thanks Kirsi, for sending the pics! Of course, I'm beaming like a proud mommy when I see his pictures! Now, time for something totally different... I'm not sure what to say about this. And what a beauty! Nice pair, actually - both look like they are enjoying the match. When I first read the article linked in the quote below, at Radio Free Europe, I wasn't actually surprised about the story which is very likely to be true. But what impressed me most was how much like New York City, L.A. in California, and many places around the USA elements of this story apply today. Cultural elements are different, but the outcome is identical. The point is arbitrary laws or rules, and police-like power involving the confiscation of animals from their owners for high penalty fees or the likely death of the animal. Legalized cat and dognapping. Police power in the case of American Animal Control agents being granted the rights to determine what is a vicious dog in our country before the dog has even done anything wrong. Plus such legislation as California's AB 1634 which aims to give Animal Control Officers of local municipalities' the right to write and enforce their own brand of local justice that could vary from city to city within the same county, and vary between dozens of counties in the same state! See Reno's story, see Spartacus' as just two examples of juvenile levels of logic in lawmaking and arbitrary enforcement. Spartacus was confiscated by NYC, he lives in New Jersey, but NYC wanted to either kill him or cut off the dog's testicles. To get him free, his owner had to pay $10,000 bond -- he had not even committed a crime. 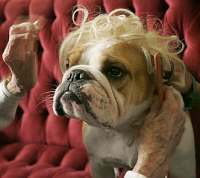 I'm of the opinion that many pet lovers I've read about recently would be hypocrites to criticize the Iran story, when they have been vehemently supportive of arbitrary legislation, from breed specific legislation (BSL) to mandatory spay and neuter (MSN) in our own country which is actually the same thing but in different cultural clothing. In both cases, it's about those with fundamental philosophies who desire laws, penalties and arbitrary police force enacted to enable personal philosophies to be enforced. 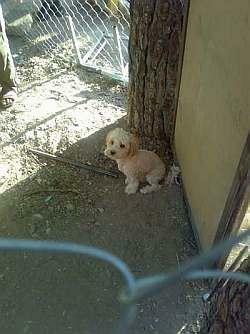 In an unprecedented move, Iran's police have created a dog "prison" in Tehran. The move is part of a crackdown on what officials describe as immoral and un-Islamic behavior, during which thousands of young men and women have been detained or received warnings about the way they are dressed. Radio Farda reports that Tehran pet-owners are now also among those under pressure from the authorities. It's pretty clear from the small number of photos that the 'jails' are makeshift. The pic above shows chain mesh stretch loosely and other improvised containment. It seems that this is a localized incident as there are only a few photos at this point but of course, due to the particular issue, if there are more such incidences, it's not going to be considered a big deal in the light of other larger issues. I'm sad for the dogs' owners. See the original blog posting at Kamangir's blog. A couple other postings are here and here - each giving more insight into the issue (see their comments as well). Brandi owns Pasa and has a story on her blog about a rather serious experience that revealed Pasa's sensitive and caring nature. What a wonderful, sensitive puppy! The same site not only hosts her blog but her new website as well. See the list of links in the column at that page. Go, enjoy! 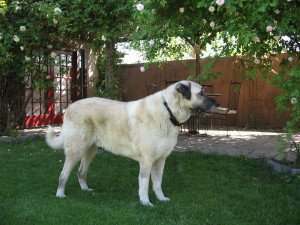 Alternatively, if you've got a MySpace account, go here to see the collection of puppy photos of Pasa and her other Anatolian pals who live over at Brandi's Mystic Anatolians. If you're not a MySpace member, you can still check out Brandi's MySpace page and see slideshows and a movie of her other ASDs without joining MySpace. I have a heck of a time trying to edit video. I've got a few clips that Dave Koerner took during one of the visits he had here a year ago. I've been trying to edit them in Movie Maker (MS), but I really don't have talent for it and keep doing something that makes the program crash. Whenever I get it done, I'll post it here on the blog. 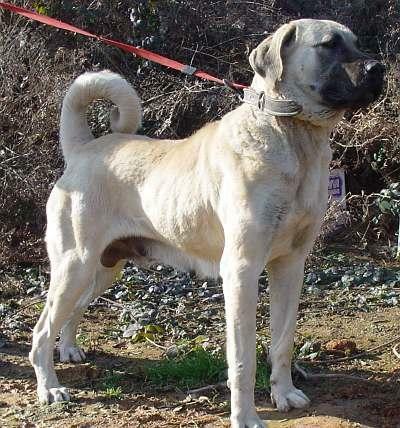 But the real reason for this post is that there are lots and lots and lots of Turkish dog lovers (especially overseas!) who take lots of footage of these beloved dogs! Americans seem to be a little more camera shy, or are much much pickier about opportune times for doggie videos, therefore the times never come. . . Carol Burnett has a message for us about not saving up for the best time but to enjoy it all now... don't have a link! Some of it is pretty nicely done, considering the resolution and our raw attempts at amateur movies. Some of the video captures cute moments such as these big guys getting tackled by little toy sized dogs. :) Funny! Unfortunately there are also rather unpleasant vids showing people sparring with their dogs - so if you're gonna go looking at videos, do realize that there's a fair bit of that out there. Ugh! I won't dwell on that now. I'm supposed to be de-stressing! I thought the above photo was so beautiful, had to post it here! This is Full Circle's Kutlu Kume, "Stacey", with her litter by Full Circle's Isaret, "Marky". The website for Full Circle Farm is here. You can see the OFA scores, other info, more photos of the parents, as well as get a glimpse of Marky's handsome fawn grandfather in Turkey. A hen at Judy's place, with her chicks in a tree! James and I continue to be tickled with this photo over at Judy's Ravenwood Farm Tails blog. It's in the July archives there. 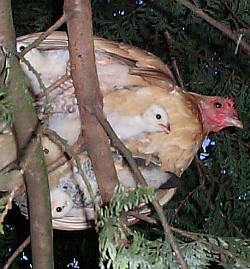 Chickens instinctively roost at night, and domestic chickens sometimes prefer a tree over other offerings. The puzzle is, how did these chicks which are only just starting to fledge get up in the tree? Diane sent me a blurb about Savage Chickens' comic of the day. Funny! If only my TTY calls could be so succinct! Nemesis, the previous day's comic is pirate oriented too, . . . A good reminder of that silly holiday coming up, Talk Like a Pirate Day. September 19th, every year. 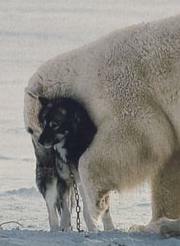 Why Didn't The Polar Bear Eat the Husky? An interesting little slide show. One more post for today! I wanted to blog this one a couple days ago, but today is a catchup day for some of this stuff so here we go. In a cartoon by former NASA roboticist Randall Munroe, a man reaches out and pulls a lever. Immediately a bolt of lightning strikes him from the sky. When the man is a "normal" person, he sensibly thinks, "I guess I shouldn't do that." When he is a scientist, however, he scratches his head and asks, "I wonder if that happens every time," and reaches again for the lever. Curiosity is what makes scientists tick. This curiosity can lead to great discoveries, but it can also inspire bizarre experiments that appear highly peculiar to the rest of society. Such experiments come in a number of different varieties. At one end of the spectrum are the experiments that, in the words of Marc Abrahams, editor of the Annals of Improbable Research, "first make you laugh, and then make you think." 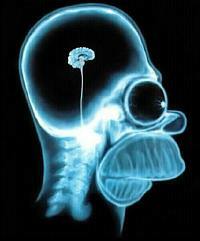 The research is serious, but the subject matter contains hints of the absurd. 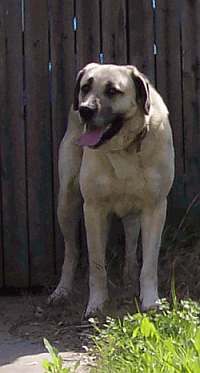 For example, a 2006 study at the University of Western Ontario sought to find out if the average dog would seek help in an emergency. 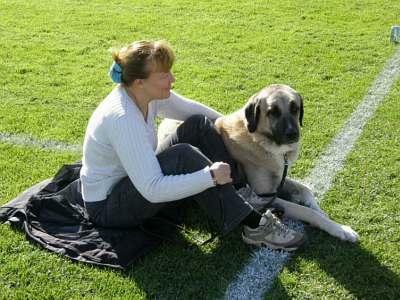 Cooperative dog owners pretended to have a heart attack while walking their pet. At a pre-determined spot, they clutched their chest, cried out dramatically, then collapsed to the ground and feigned lifelessness. The dogs were not impressed. Most of them sniffed their owner a few times before wandering around aimlessly -- except for one toy poodle. 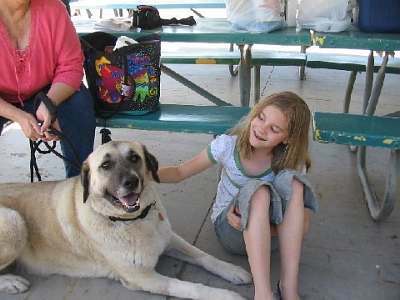 This bold pooch rushed over to the nearest person, jumped up on her lap, and offered his belly to be petted. The researchers concluded that most dog owners should not expect their pet to turn into Lassie during an emergency. Then there are the bizarre experiments that make you cringe, not laugh. The classic example is the 1962 elephant-on-acid experiment. A trio of Oklahoma City researchers became curious about what would happen if they gave an elephant LSD. There was just one problem. They had no clue how much LSD to give it. Elephants are really big creatures, so the researchers figured their subject would need a really big dose. They settled on 297 milligrams, about 3000 times the level of a normal human dose. They shot the drug into the elephant's rump. It trumpeted angrily, woozily rocked back and forth, then keeled over. Soon, tragically, it was dead. In the article that appeared in Science a few months later, the researchers euphemistically noted, "It appears that the elephant is highly sensitive to the effects of LSD." The lesson is that having three researchers work on a problem does not make it three times more likely someone will display common sense. And then there are the experiments that simply make you shake your head in disbelief and exclaim, "Someone really did that?" Stubbins Ffirth was a doctor-in-training who lived in early nineteenth-century Philadelphia. To gain his medical degree, he undertook to determine whether yellow fever is contagious. He used himself as the test subject, exposing himself to the disease in every way he could imagine. He smeared himself with the blood, urine, sweat, and black vomit of yellow-fever patients. He dribbled the vomit into his eyes. He even drank undiluted vomit fresh from the mouth of a patient. Miraculously, Ffirth didn't get sick, prompting him to declare yellow fever non-contagious. Of course, he was wrong. It hadn't occurred to him to test for transmission by mosquito bite. Ffirth's experiment demonstrates the difficulty of identifying all the possible variables in a real-world situation. The history of science is full of bizarre experiments. Many of them, for all their weirdness, display a touch of genius. In 1978, Russell Clark published results of an experiment in which students from his psychology class sexually propositioned strangers in public places to find out if men and women responded differently. No surprise, almost all men accepted the invitation, and all women rejected it. Initially ridiculed by the scientific community (journals refused to publish it for years), the study now earns widespread praise for demonstrating the importance of gender differences in sexual attitudes, something to which psychologists had previously paid little attention. Unfortunately, if you're designing an experiment that makes your colleagues raise their eyebrows in surprise, it can be very difficult to know if you're heading down the path of genius or madness. The difference usually only becomes apparent in hindsight. Alex Boese's book about bizarre experiments, Elephants on Acid from Harcourt, goes on sale November 5, 2007. He is the creator and curator of the Museum of Hoaxes, and lives near San Diego. L. Walsh, "D'ya hear about the moon bison?" The Scientist, March 2, 2007. K. Macpherson and WA Roberts, "Do dogs (Canis familiaris) seek help in an emergency?" Journal of Comparative Psychology, May 2006. RD Clark, "Gender differences in receptivity to sexual offers," Journal of Psychology and Human Sexuality, August 1989. 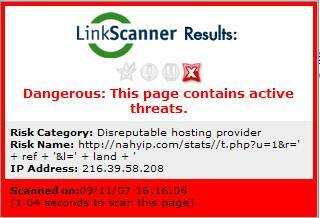 Although I've had it installed for a couple days now, I haven't started getting familiar with LinkScanner. This was recommended by Robert Vamosi in recent security alerts. I have two other postings on this matter, here and here. The latter link shows what happens when a recording is made of Internet Explorer visiting a banking site. These attacks can happen to anyone. Since I wanted to see what a red alert would look like, so I did a few keyword searches that are most likely to hit some compromised pages. The image above shows the alert or clear icon (a green checkmark) on a sample search. 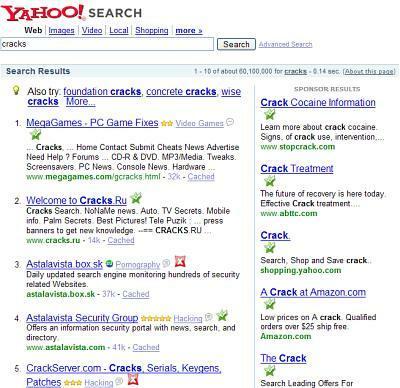 Above is using Google search but you get similar results on a few other search engines such as Yahoo below. 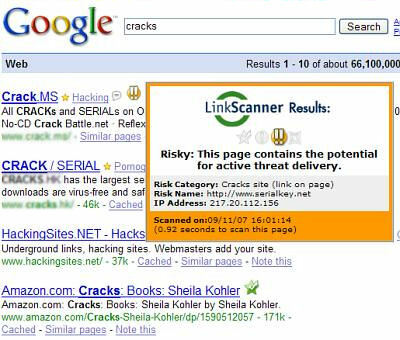 Linkscanner doesn't run with Altavista so be sure you use a search tool that LinkScanner works with. If you mouseover the red x marks, below is sample of a warning you get when the site is positive for threats. Please realize that Sponsored Links on search engines can be dangerous too! These guys pay to make their sites highly visible, so that they can infect more people. Steal more identities. People who just click to visit their sites will load the page, just like in the video of the banking site above! Then the malware starts to write to the person's hard drive. I'm safe! Since I am using NOScript on Firefox, when I clicked on the page, NoScript informed me that scripts wanted to run on that site and did I want to give permission? Of course not! However, if I had not seen the Linkscanner warning, I might have assumed that maybe some little harmless tool wanted to run. And she's talking about the olden days, back when we made keyboards out of wood and had to capture and tame our own mice. There's nothing quite like beautiful photography to bring me a smile. FoxSaver creator, Chris Lu chose this photo for one of Monday's selection of pictures. The mouseover in the vote page collection says it's Gentle Persuasion by Jack Crockett. I like using this pic for a header in this post because it is a celebration of light and life. The contrasts. . . Darkness. Light and hope. Today, for me, those words and this picture symbolize remembrance -- powerful memories of 9/11. Photographic art... great for visual relaxation. Big, beautiful pictures provide an opportunity to give the eye some rest while actively exploring the photo. Okay, I'm gushing for FoxSaver! These smaller pics don't do them justice. You can view them full screen when FoxSaver is running. Kudos to Chris Lu for writing this wonderful add-on for Firefox! Click image to get info for download. 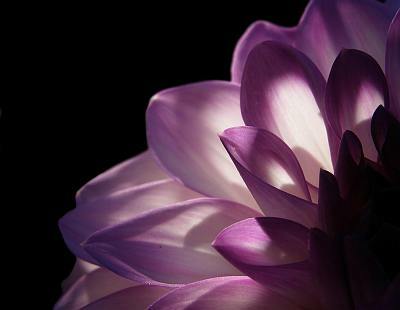 Jack Crockett, who is the photographer of the purple dahlia above, has an intro page at photo.net which provides links to more of his beautiful photography. Hi, Semavi Lady, Thanks a lot for your favor for FoxSaver. Now, you can right click on some picture you like, and "Recommend it to FoxSave". The site is a very beta testing phase. You will need a facebook account to submit pictures. This is an amazing program. Beautiful. It gets better every time!